If you have a local business and you want to stay competitive, and get found in an online search, you need to make sure that your website is search engine friendly. As a search engine optimization (SEO) consultant, I pride myself on staying informed on the latest ways to help websites get and stay on the first page of Google. I wanted to update all of you on Google recent algorithm changes and let you know how it has been affecting several small businesses with whom I have been working. I have had a number of requests for assistance because people have noticed a decline in website traffic as well as a resulting drop in leads generated from their websites. In most of these cases, their websites were not built recently using the latest technology and therefore were not mobile-friendly. Mobile-friendliness had to do with user experience. People are using many different types of devices to view your website. These include desktop computers, laptops, tablets, e-readers, and mobile devices/phones. The devices have different screen sizes and use different browsers so the desktop version of a website may be difficult to view and use on a mobile device. As a result, the version that’s not mobile-friendly requires the user to scroll, zoom, or pinch the screen so they can read the content. If you’ve experienced this, you know it can be a frustrating experience and as a result, you are likely to quickly leave the site. On the other hand, a mobile-friendly version is easily readable and organized for simple navigation so you can find what you want quickly and with little effort. 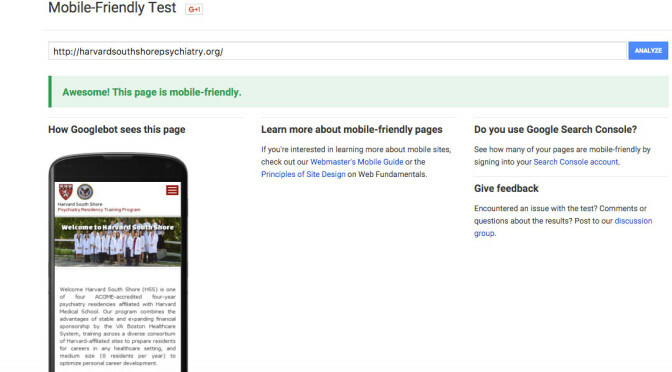 What to Do If Your Website Passes The Test? Have the site reviewed to see if you need upgrades in order to improve your search engine results (SEO ranking), as well as the readability and functionality of content on a mobile device. 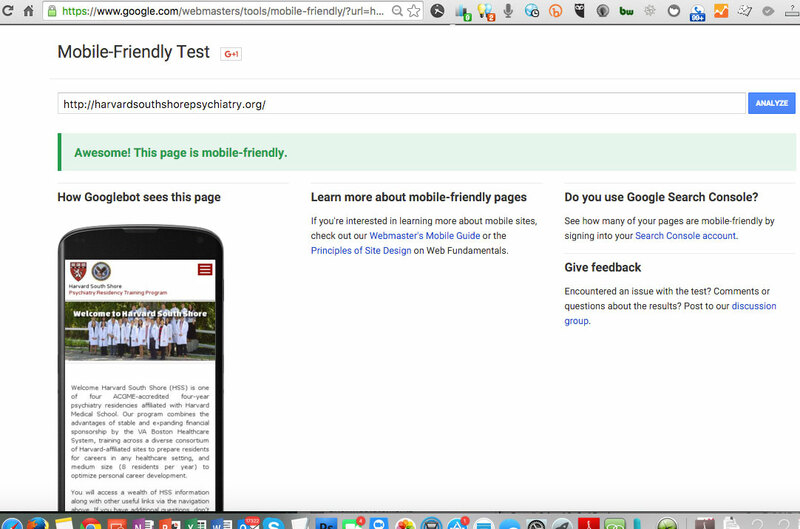 What To Do If Your Website Is Not Mobile Friendly? If your site fails the test- it’s time to update your website before Google penalizes your site by ranking you poorly in a search ranking. If you have seen a drop in web traffic and/or leads from your website- then this has probably already taken place. There is a wide range in the amount of time and cost needed to update website. The cost is dependent on when your website was built, and the technology used to build it, so I recommend you have an analysis done and get a quote on the work needed. You may need to upgrade your website to a platform that supports responsive design, the technology used to build mobile-friendly sites. It might also make sense to do some updates to your website content and have the web developer evaluate your website’s search engine optimization as well. I recommend avoiding mobile-friendly plugins or add-on template mobile sites as they can be error prone, and need fixing due to coding and compatibility issues. Also these template mobile sites do not index well in a search for various reasons beyond the scope of this article. Most of my client’s who decided to fix these mobile-friendliness issues reported good feedback from their customers on their websites, increased website activity and ranking, as well as a jump in referrals and sales. By taking care of your mobile-friendliness -you can ensure that anyone going to your website has a good user experience and prevent a drop in your sites ranking so you can be more easily found online. If I can help with this process- just give me a holler at 781-956-9999.